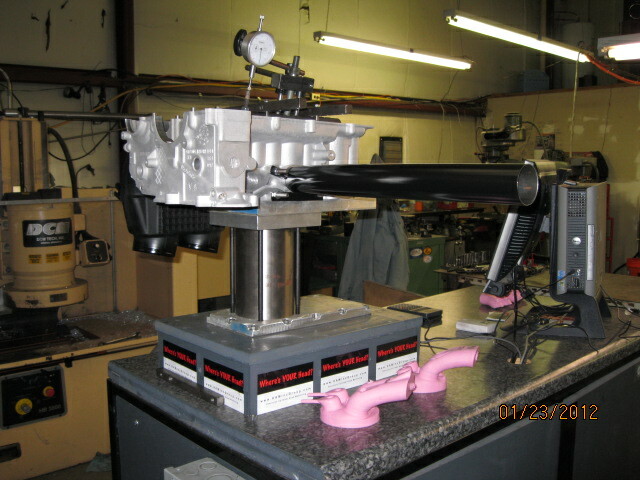 We are the industry leader in testing and development of these heads. 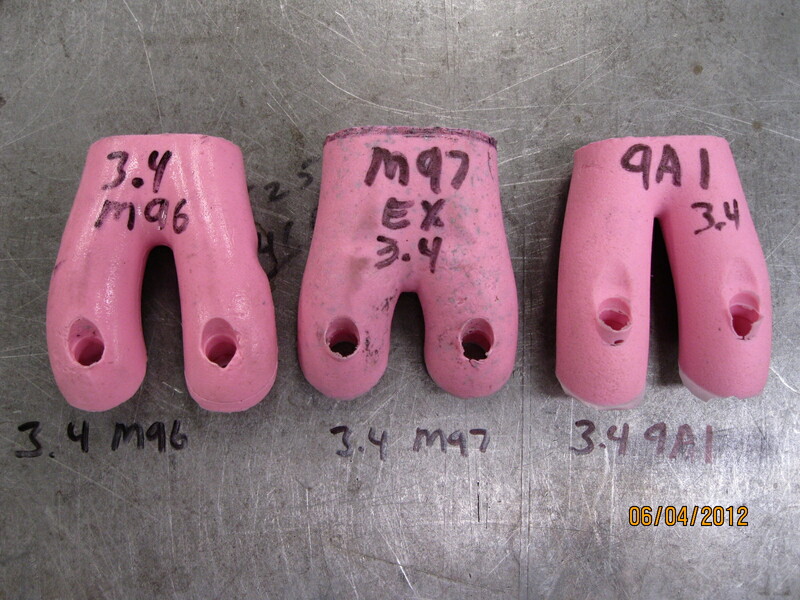 We were flow testing and modifying M96/97 heads for several years before most shops had even seen them. The teething issues Porsche endured with the introduction of the M96 are well documented in forums and magazines, as are the aftermarket options that address them. 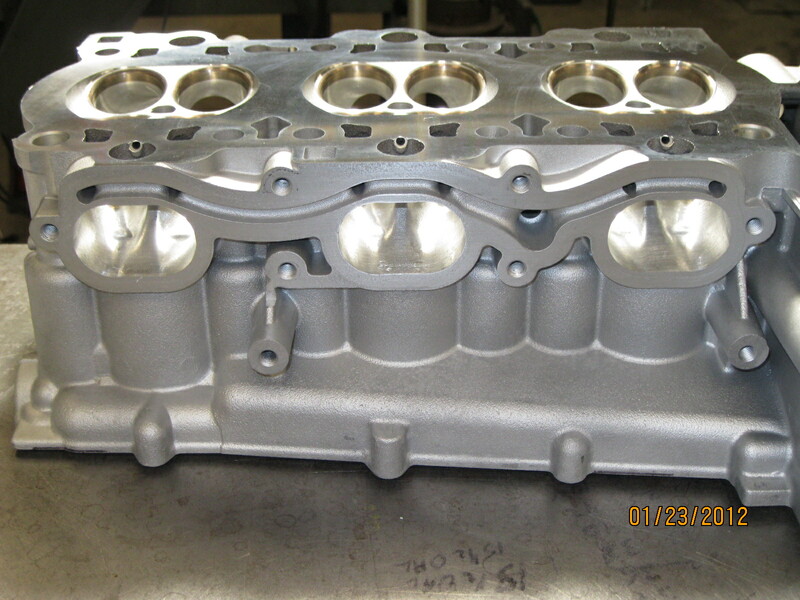 My focus is squarely on cylinderheads and I was very eager to explore these new heads. I was attracted to them from the beginning, starting with 2.5l Boxster heads. Four well arranged, diminutive, valves; nicely shaped ports appropriately sized for the valves. The valve & port design is a tad bit undersized for a performance sports car, but only just so, and based on flow data I feel they are smartly sized for streetable performance from a 2.5l displacement. The M96/97 heads all employ the simplest of DOHC designs whereby each cam is positioned directly above it’s row of valves and lift is transferred directly via hydraulic followers. And I like the fact that the design utilizes a separate housing for the followers. The oil routing through the heads is simple and direct with oil being distributed to the followers via channels cast into the head and the follower housing which is precisely aligned to the head by a pair of dowels. I like all of these design features, but what really won me over to these heads was the port shapes. 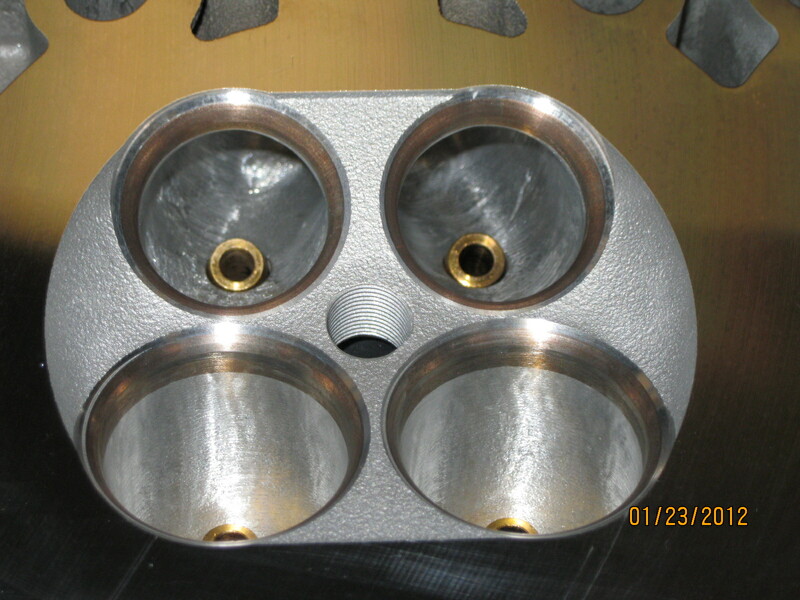 Porsche avoided the common manufacturing pitfall of many mass-produced 4 valve heads; that of a plunging machine operation below the valve seats in the critical area commonly referred to as the bowl. This plunging operation produces more of a can than a bowl. 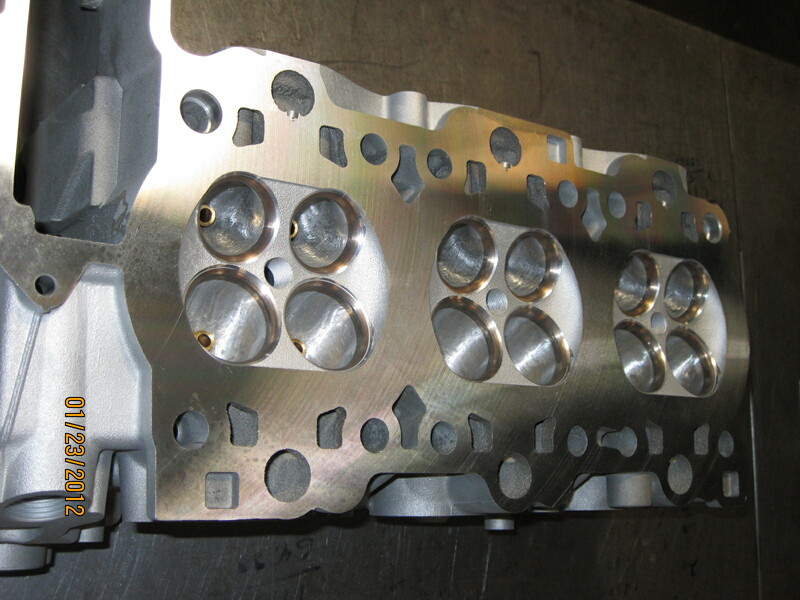 It’s a cheap, easy way to blend the valve seats to the casting and increase port volume. BMW took this short-cut when they introduced their modern 4 valve heads including the iconic M50-54 line. Most of the Japanese four valve engines I’ve worked with have suffered this abomination too. But not these babies. Porsche went through the trouble to cast a lovely little bowl and finished it with some more sophisticated machine blending to the seat. Due to the limitations of production machining, -at least the ones Porsche utilized- the area still needs some help, but is not helpless and by mass production standards it is a very nice shape. I can not overstate how critical this portion of the port is to optimum performance. Having that material there in a nice shape from the get-go is a major plus. And best of all they carried this design philosophy all the way through the M96/97 lineage. And as if well cast ports weren’t enough, the X-51 has very striking CNC machining that is linear with the port and absolutely stunning. All of the M96/97 heads benefit from some very strategic port work. And because they have wonderful shapes overall to start with they respond very well to these strategic improvements. 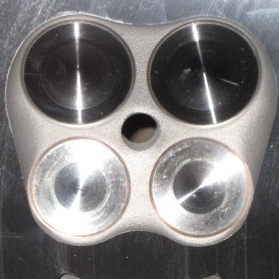 Each model of M96/97 head has it’s own port specifications, and Porsche also experimented with valve sizes. -M96 2.5l/2.7l 33.3mm In x 28.3mm Ex. -M96 3.2l/3.4l 37.1mm In. x 32.5mm Ex. -M97 3.4/3.6/3.8 40.1mm In.x 34.4mm Ex. All have 6mm stem diameters. 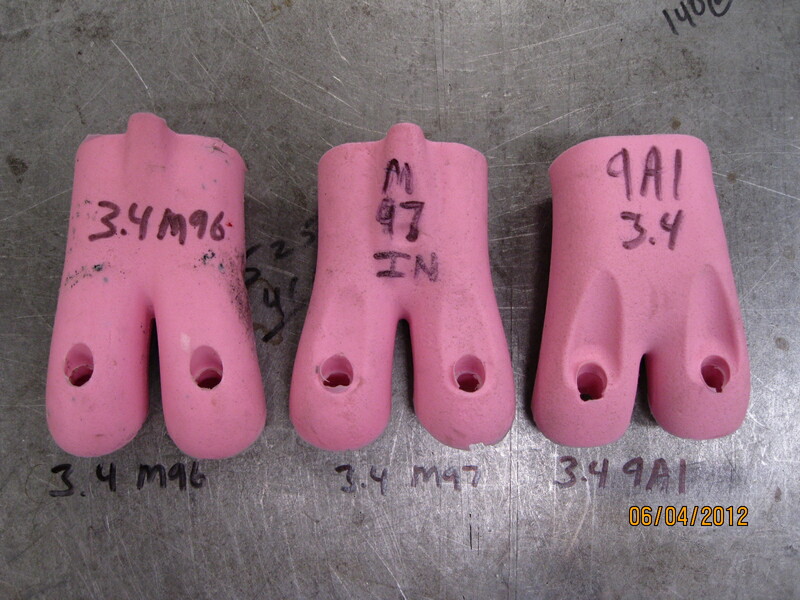 Port dimensions increased appropriately with each increase in valve size, and bifurcated runner lengths varied from model to model. Simply put some ports split off into individual runners closer to the valves than others, as the photos illustrate. All of the variations have nice flow curves. In my time exploring the complete M96 & M97 line of cylinderheads I’ve come to know them very well, and have developed a very serious passion for them. They are wonderful heads in many ways. Aside from the aforementioned benefits they have extra thick deck areas. I have never seen one warp more than .005″ with most being under .003″ and I have seen cracked heads that were warped less than .002″. These are fabulous heads with an overall design that lends itself to very forward looking development for the entire engine platform. I have developed a variety of performance modifications as well as repairs including removing broken ex studs, crack repair and even mating mismatched cam caps/valve covers to heads. Caymans made the jump from 3.4l-M96 to 3.4l-M97 mid-year 2006.